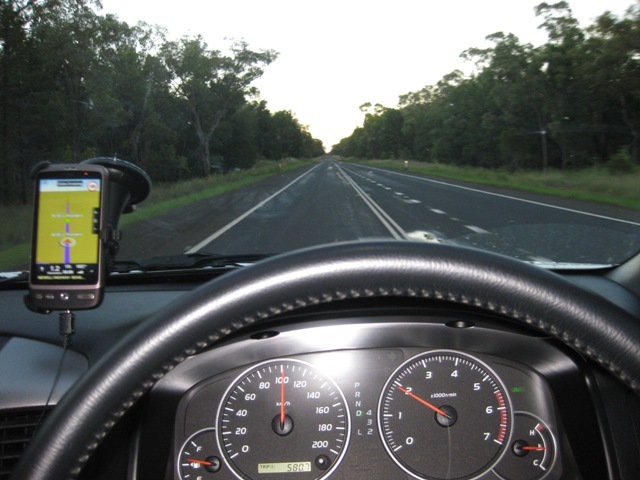 I started Day 2 of my road trip from Brisbane to Melbourne via the Newell Highway early. 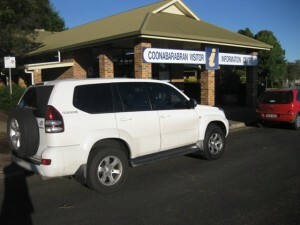 I had spent the night at Narrabri Highway Tourist Village & Caravan Park. To read about my road trip from Brisbane to Tasmania and back, follow the Tasmania trip tag. I stopped briefly at many of the towns along the Newell Highway, including Coonabarabran, Gilgandra (including Coo-ee), Dubbo, Parkes and Forbes. 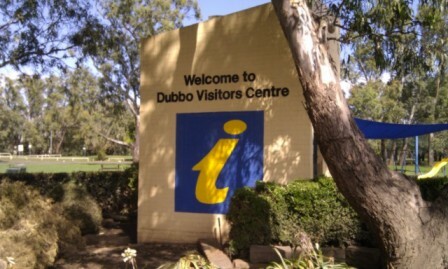 While the sign out the front looked new and inviting, the Dubbo Visitors’ Centre was oddly derelict. It obviously had not been used for some time. 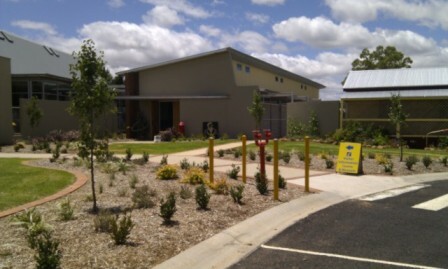 The centre was closed with little fixtures and fittings inside the building. Outside was unkempt with the vegetation and debris on the pavement. I found this surprising given that Dubbo has a major tourist attraction — the Taronga Western Plains Zoo. 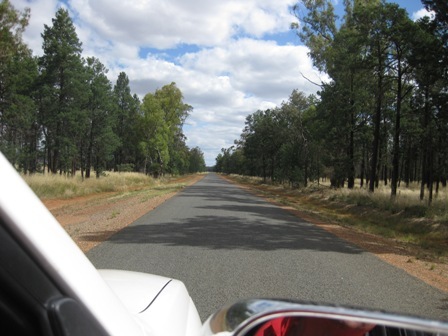 There were many rest stops along the Newell Highway in New South Wales. Only stop in the if you are really desperate to use a loo. 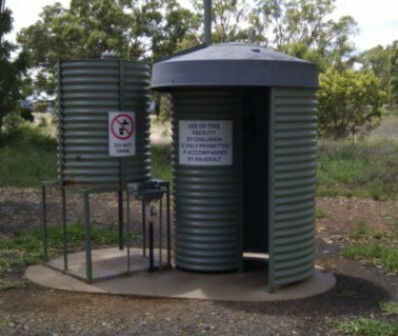 The one below was a typical drop dunny (toilet over a hole in the ground). It was filthy and stunk. You are better off taking your own toilet paper and visiting a nearby tree. A drop dunny at a roadside rest stop — only use if desperate! 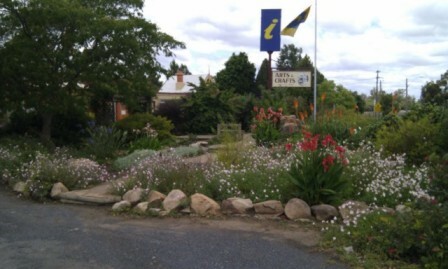 Check the RTA web site for road closures around Narrandera if there is rain and flooding forecast. I had booked a night (and paid a deposit) in the caravan park there, so was determined to get there. After going through several back roads, I got to Narrandera, only to find that the caravan park had also flooded. 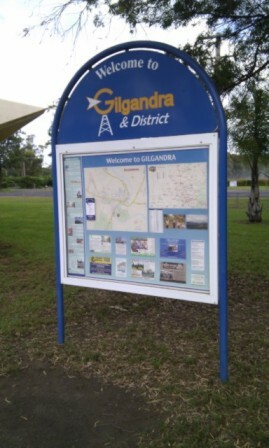 It would have been nice if the caravan park had phoned me to let me know I could not camp there for the evening! Bad customer service if you ask me! I ended up staying at the Midtown Motor Inn, which I found to be quite pleasant and comfortable. Read about Day 3 of my trip here. 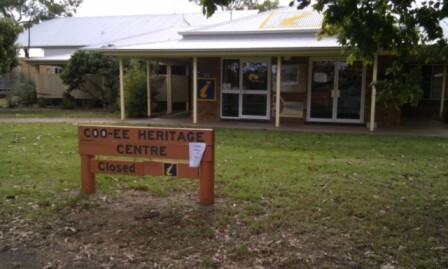 This entry was posted in New South Wales and tagged Coo-ee, Coonabarabran, Drop Dunny, Dubbo, Forbes, Gilgandra, Narrandera, New South Wales, Newell Highway, Parkes, Road Trip, Tasmania Trip on 20 December 2010 by Rex.